Yoga Apparel – How Does Yoga Apparel Differ From Other Types of Exercise Clothing? Yoga involves slow, steady movements that require concentration and focus. Just as yoga is much different from other fitness routines, the clothes worn while doing it also should be different. Yoga apparel is meant to not draw your focus away from the task at hand. It does this by staying put, moving only with your body and in the same direction as your body, therefore not leaving you exposed. 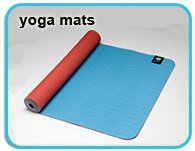 This greatly reduces tugging and pulling, and allows for a much more peaceful yoga experience. The goal is to not even realize you are wearing clothes. The soft, form fitting, light weight cotton designs of most yoga clothing accomplishes this well. Of course, it is possible to practice yoga in any sort of clothing, including standard exercise apparel or even street clothes. However, clothing creating specifically for yoga really does improve the experience. Yoga apparel is typically somewhat less form fitting than traditional exercise clothes with less spandex. Smooth, stretchy cotton that wicks away moisture is more likely, ensuring a cool, comfortable session. Tops still offer support for women, but they do not necessarily show every bump and curve, as does the more traditional athletic apparel. The slight stretch allows for a looser fit that still stays in place during movement. Though traditional athletic clothing and street clothes do not necessarily cross over to yoga well, yoga apparel does tend to cross over, with a night out on the town or even the office well within its reach. For example, a straight leg body suit created for yoga in a solid neutral such as black, navy, or chocolate brown can be three outfits in one with some slight modifications. Wear under a blazer with classic accessories for the office, lose the blazer and jewelry for yoga class, and add a denim jacket and chunky jewels for an evening out. Men’s yoga apparel crosses over to leisure clothes easily as well, but not so much to the office. The typical yoga attire for men consists of comfortable shorts and either a t-shirt or no shirt at all. Either way, the ability to wear the clothing at times other than when practicing yoga conserves time and money. With the kicked up comfort level of most yoga clothes, you may find yourself looking for opportunities to wear them when you are not practicing yoga. This should not be a problem as there is a huge selection of styles available. There is something to suit everyone.